New York: Oxford University Press, Fall 2018. Concern about the integrity of American elections did not start with Trump’s election, by any means; flaws in procedures have gradually grown during recent decades. The contemporary ‘tipping point’, heightening awareness, were the events occurring during the 2000 Bush v. Gore Florida count. But, like construction built on a sagging foundation, several major structural weaknesses were clearly worsened by the 2016 campaign and its aftermath, thereby deepening party polarization over the rules of the game and corroding American trust in the electoral process. Disputes over elections have proliferated on all sides in Trump’s America with heated debate about the key problems – whether the risks of electoral fraud, fake news, voter suppression, or Russian interference –and no consensus about the right solutions. To understand these issues, the aim of this book is to brings new research to illuminate several major challenges observed during the 2016 U.S. elections, focusing upon concern about both the security and inclusiveness of the voter registration process in America. Given the importance of striking the right balance between security and inclusiveness in voting registration, this volume brings together legal scholars, political scientists, and electoral assistance practitioners to provide new evidence-based insights and policy-relevant recommendations. 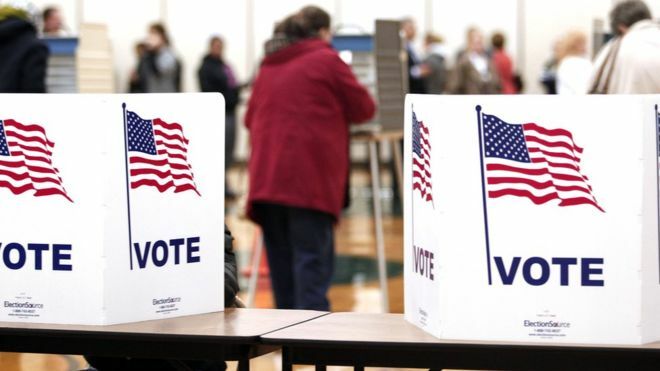 The issue of security encompasses whether voter registration processes were sufficiently robust so that qualified electors, and only qualified electors, could cast a ballot. Other related concerns include the issues of cybersecurity, and the vulnerabilities of official election records and campaign communications to Russian hackers, as well as the use of social media bots in planting fake news, and the impact of general disinformation campaigns in an era when the public has lost faith in the legacy press. The issue of voter inclusion involves respecting the fundamental rights of all qualified citizens to cast a ballot in a timely and efficient way, without facing undue burdens or administrative hurdles. The dangers of repression are to exclude certain individuals or sectors of the electorate from exercising their democratic rights. There is also concern about the convenience of the electoral process for the public and undue hurdles raised by the time and effort required to register and cast a ballot. To address these issues, the book brings together a range of international experts covering some of the key debates. The book advances a fresh conceptual framework to understand the challenges facing U.S. elections, focusing upon the trade-offs between voter inclusion and security, providing a balanced account moving beyond existing work which focuses solely on one or the other side in partisan debates. The book is designed to provide an edited collection of specially written chapters, which will be useful in the field of American politics, comparative political science, electoral administration, electoral law, state and local government, electoral studies and political behavior, and studies of democracy.